A friend would like to start climbing but he can only use one arm. I've read about a few people climbing with one arm, but I haven't found advice on which gear to use. We are only at the beginning of researching options, any tips and experiences would be super helpful! For example, does someone have tips on safe belay systems that would work with one hand? Yes, it has been done! You can try contacting the people at Paradox Sports; this sort of adaptive climbing is exactly what they do. In terms of personal experiences, there are a couple of threads on Mountain Project covering this issue. (By coincidence, at least two or three of the climbers on those threads work/worked for Paradox.) The first thread has a good post by "gimpmoney". The second thread gets a bit off course, but also has some good info from "momoface" and a couple others. If your friend has partial use of his other arm (e.g. a stump), he may find he's able to incorporate it into his technique. Top-rope belaying: Either a GriGri or ATC should work. My instinct would be to redirect the brake strand through a second carabiner (e.g. off a leg loop) to make it safer when lowering. One of the climbers in the above threads is able to use his stump to operate the lever, but I think with a redirected brake line it should be possible to use the brake hand to operate it. When taking in slack, locking off the rope and squatting should be sufficient to pull in slack if there's too much friction in the system. The slack can then be pulled through the device as the belayer stands back up. Lead belaying: I would expect a GriGri to be rather difficult to use, as paying out slack one-handed would be rather finicky. A traditional device like an ATC would be quite straightforward. Other issues: You may find difficulties with climbing gyms as they will have standardized belay techniques they expect you to use, and those may require both hands. Your friend would essentially be using a lead-style technique when taking in slack for top-roping, rather than the near-universal PBUS style of using the other hand to lock off the rope. Often gyms require additional training or testing for lead climbing, but that might be one way to work within their existing framework. 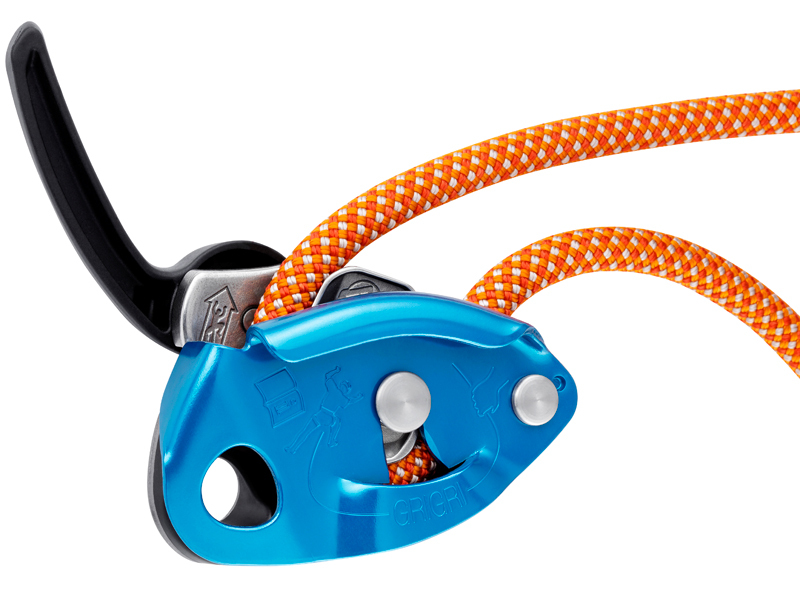 It's a self locking belay device, and can be used easily and rather safely with only one hand. Though not as safe, you can belay one handed with and ATC easily enough, the trick is to never let go of the rope while belaying, only slacken your grip and slide your hand up the rope again. Your climber has to help you out by climbing a little slower, or stopping occasionally to let you take up the slack, and they shouldn't climb anything too near or beyond their ability. It would not be advisable to for your one handed belayer to lower you with only one hand. Although possible–you could wrap the rope once around your leg or your body for more friction–it would be better for the climber to anchor themselves at the top, and rappel the route. Not the answer you're looking for? Browse other questions tagged rock-climbing climbing belaying disability-options or ask your own question.